Behold! The Eclipse Signal! For when you need to summon a sad drunken man whose powered by Capri-Sun. 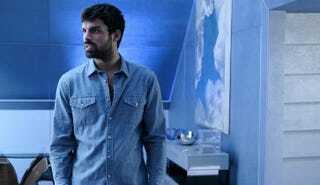 Welcome to the Gifted season 2 episode 3 “coMplications” spoilerific reaction thread, where you can share your thoughts on the show as it plays out or after it’s done. Mutant of the Night: Reeva Payge, for being yet another character on this show.